Developer Daniele Spinetti has a blog post up where he shows how to implement interstitial ads from AdMob on Android in Delphi XE8 Firemonkey. The TBannerAd component that ships with Delphi XE8 does the normal banner sizes which are Auto, Small (320 x 50 px), Medium (468 x 60 px), and Large (728 x 90 px). However, if you want a full page ad (called an interstitial) this is where Daniele’s tutorial comes in. His sample code utilizes the TJInterstitialAd java interface object on Android to show the AdMob interstitial ad. This code only works with AdMob on Android because it uses the Java interface. He also creates a TMyAdViewListener object to handle the events that are associated with showing an ad. This code should also work with Appmethod and C++Builder. If you want a commercial cross platform solution for interstitial ads with more options check out the component suite from JVEsoft. 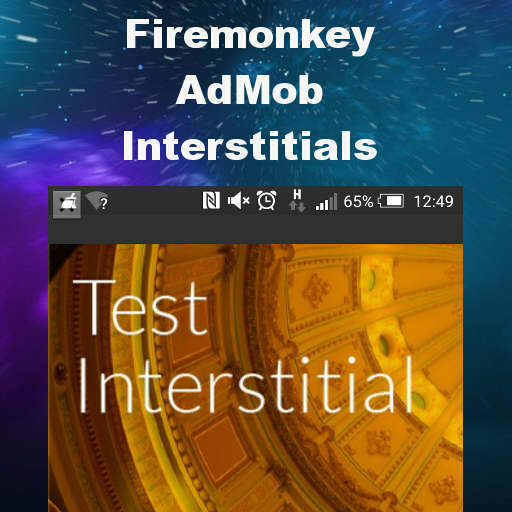 Head over and check out the sample source code for creating interstitial ads in Delphi XE8 Firemonkey on Android.